Did you know that the first robots were developed a thousand years ago? Have you ever heard of “Shakey” the robot or do you know the origin of the term “robot”? 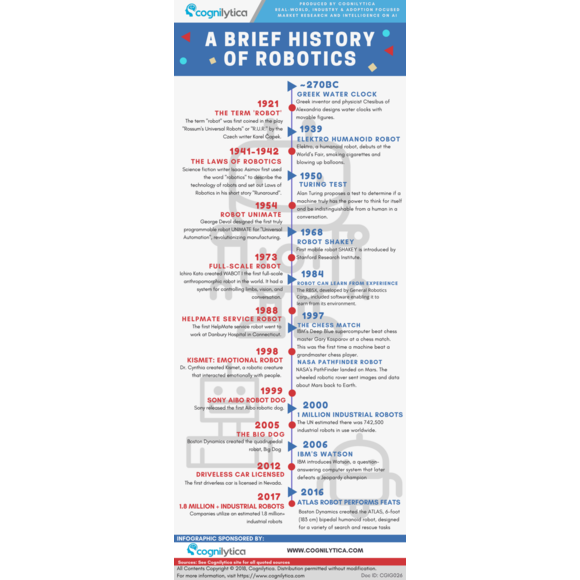 In this infographic, Cognilytica shares a brief history of some of the highlights of the past several thousand years of robots, with of course, an emphasis on our more recent past.